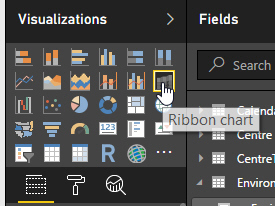 The ribbon chart visualisation icon is every bit as tiny as all of the others. 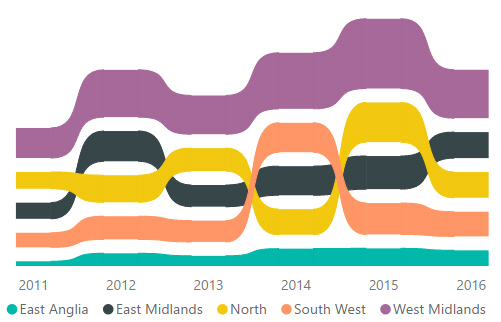 In 2012 the East Midlands region sold more than the North region, but in 2013 this was reversed. 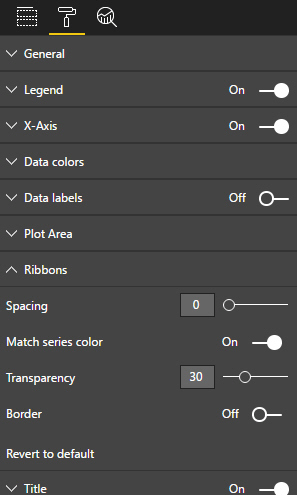 The Ribbons section allows you to change spacing, colouring, transparency and borders. A huge improvement, in my lowly opinion. The chart was better without this change. 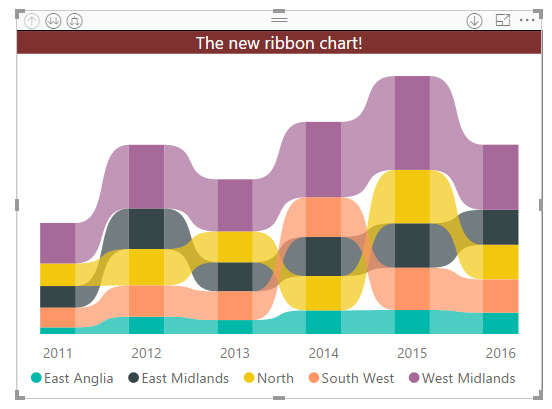 I've taken all transparency off (so that the ribbon intersections are one colour only), and turned the Border property on to put a thin border round each ribbon. The default ribbon chart looks horrible, but once I started tweaking it, it grew on me.